After the “Cambridge Analytica data privacy scandal” Facebook broke its silence and confronted the world by publishing apologetic ads in more than sixteen different US and UK newspapers. Now, Mozilla has stepped up and decided to pause its ads on Facebook. However, it is the first pioneer who has come forward and rolled out a new Facebook Container Extension that is capable of preventing your data privacy. It will isolate web activity from Facebook and after that, it won’t be easy for the social network to track the user activity on websites via third-party cookies. Facebook Container add-on is based on technology. In fact, Firefox has been working on the same technology from last few years. Moreover, this launch was accelerated in a response to the data privacy scandal that was, mishandling of over 50 million users by Facebook. This browser extension is introduced for the users who are not prepared to delete their Facebook account but looking forward to a solution to prevent their data from being misused. This add-on will not only disclose the identity of a user on the web but also will help users to not compromise on their personal information. Jeff Griffiths, Product Lead for Firefox said, “Containers are a feature built into the Firefox platform that separates user cookies and site data into different cookie jars”. He also said, “For Facebook Container specifically, this means that a user should only be able to log in to the Facebook Container. Facebook cookies and site data that identify the user are only available to that Container, and only Facebook can be open in that Container”. Read Also : Restore Last Session in Chrome, Firefox, Edge . Facebook Container is a Firefox browser add-on that helps users to avert Facebook from monitoring and tracking your activity on other websites. The Facebook Container Extension is easy to install on Firefox to stop Facebook from tracking your visits to other websites. This extension lets you continue to use Facebook without intruding your privacy. This browser add-on works with Facebook in a different Container so that you won’t compromise on your privacy at any cost. Actually, when you start the installation process, the add-on signs you out of Facebook and eliminates all the cookies that are used by Facebook to track you on another website. Best of all, each time you go to Facebook, the extension will open Facebook in a distinct container that doesn’t allow others to track you through ads. However, if you prefer to browse outside the container then it will not be easy to gather your browsing information and get in touch with your Facebook identity. How To Get On Board With Facebook Container? The installation process of Facebook Container is a cakewalk. Moreover, it makes sure that it adds an extra layer of security from intruding your privacy. Firstly, you need to install Facebook Container on your device. Having a browser add-on will log you out of Facebook and eliminate the cookies, which is usually used by Facebook to track you on other sites. You can access Facebook normally the way you usually use it because Mozilla will automatically switch your Facebook Container tab when you will open it. Whenever you will open any link or attachment out of Facebook, the browser will load the page outside the Facebook container extension. Overall, the customized way Firefox works with extensions can basically isolate your Facebook from the rest of your web browsing, that means you can experience Facebook without any off-site tracking. 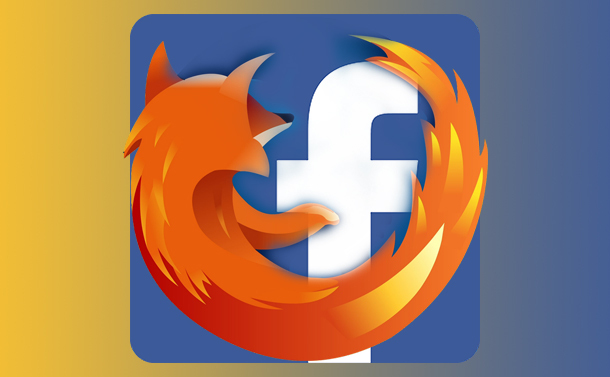 Mozilla Firefox has launched a wonderful extension that is like a blessing for Facebook users. Indeed, this mind-blowing step of Firefox has won millions of hearts and provided a solution to limit data tracking activities without getting rid of the Facebook account. How Blockchain And Cognitive Computing Will Boost IoT?